Prey is damn near perfect! | Mods Forums - Mods for Far Cry, MGS & more! Prey is damn near perfect! FINALLY a really good AAA game this year. Prey is VERY very much like Bioshock, Dishonored, and of course my beloved System Shock 2. It's an FPS / RPG hybrid with tons of abilities and strange weapons. I found myself shoot goddamn stools just cause they looked a little too close to one another. Remember kids - it's not actual safe until you shoot it first. Some (not all of course) of the puzzles harken back to the classic days when you had to use your noggin to figure stuff out instead of hand holding it for you. I found a decryption key and figured out I needed to go back through my audio logs and find the right one to relisten to in order to get a letter puzzle that I had to figure out. My reward? Not xp or a shiny new gun nope it was a hidden audio log that added another piece of the puzzle that is the story. I love stuff like that! Normal difficult has been quite challenging to me so far. Some of the enemies are downright unstoppable and I find I need to avoid them to survive. Not everything can be taken head on and ammo management is a requirement. There is a crafting system that lets you recycle junk into other items and boy do I find myself collecting every scrap I can to gear up for some fights. Over all I think it's one of the best put together games I've played so far in 2017. 10/10 in my book. I guarantee this will be in running for game of the year. Jeez, I dunno. I've looked at it several times......................how corridor linear is it? Says open world on a space station...........................seems like a contradiction in terms? Not too impressed with the videos so far. Well it's a confined environment (space station) but some of the areas are a bit large. It's open in that you can go anywhere on the station you have access to so a lot of quests are searching for keycards, restoring power to areas, etc. It's extremely comparable to any of the bioshock games and damn near a love letter to system shock 2. There are airlocks you can get going which allow you to go out into space which feels HUGE compared to indoors. I absolutely love it, but it's not for everyone. Huge weapons in the FOV, confined areas, jump scares, LOUD AS F^&* music and sound effects trying to unnerve you (damn they need to tone it down a bit). It's NOT at all like Far Cry, Dying Light, etc with large open areas to roam. The flip side is it's a bit more punishing and resource management is a thing. You only have two "guns" that fire bullets and some of the enemies are resistant to them so a limited supply of ammo and only a handful of enemies that can be killed with them to begin with. Suffice it to say it's more survival-horror than open world exploration. I would say if you watched lets play videos of it and weren't impressed then don't buy it (at least not yet) because what you see is what you get. 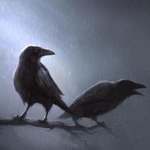 JRavens, you describe a perfect game, I want to play it that means does not need to be modded.